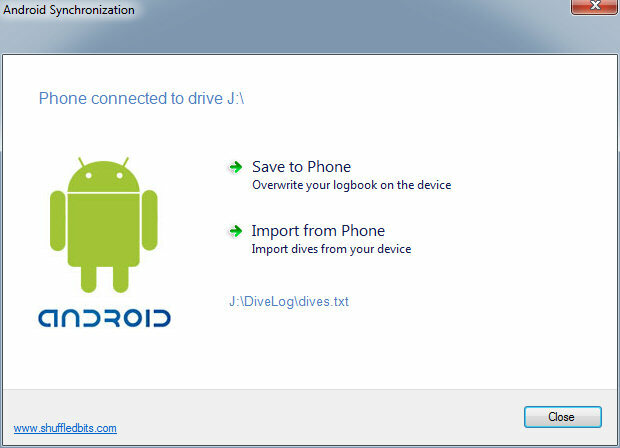 Connect your Android phone to the PC in the memory card mode, so you can write data to the SD card of the phone. Diving Log should automatically recognize the correct path when the phone is connected and the app is already installed. 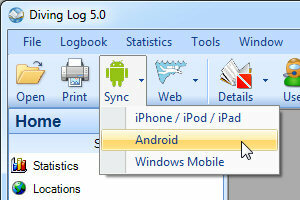 If not, you will get a default file dialog to select the exchange file on your phone or tablet. If you cannot save directly to your phone, save the file into a temporary folder on your PC. Copy then the file to your device manually in the Windows Explorer.